Rosemary is a wonderful herb. It not only looks and smells great but makes a great addition to many culinary dishes. 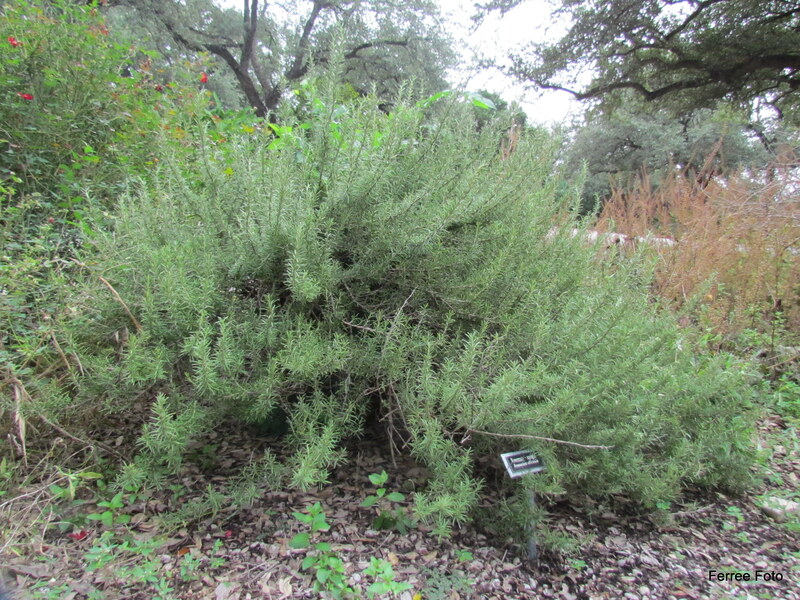 Rosemary is often found at Christmas time in wreaths and topiaries. If you follow the meaning of flowers, rosemary signifies love and remembrance, making it a great holiday gift. Rosmarinus officinalis is a tender perennial plant that is native to the cool and moist Mediterranean region. Rosemary grows well in Central Illinois, but it will not overwinter outside. Since it doesn't transplant well, many people grow it in containers that can be moved indoors for the winter. Once indoors treat rosemary similar to other houseplants. Since its native climate is cool and moist, we need to mimic that in our homes for the best growth. It prefers temperatures around 63–65°F and lots of light. A south or west exposure is usually best. I find that the key to overwintering rosemary indoors is proper watering. It tends to dry out rather quickly and will drop leaves.Monitor the soil carefully to be sure it gets enough water. Let it dry some between watering since waterlogged plants will suffer. Rosemary is not only beautiful; it is also durable in the garden. As a pollinator plants, it attracts butterflies and honey bees. It has few pest problems and even tolerates deer browsing and drought conditions. Some sources say to grow it works well as a companion plant with sage. Rosemary means "dew of the sea" since it is watered by ocean mist in its native Mediterranean. Or, the meaning might also refer to the shimmering blue flowers that cover the rosemary bush in mid-winter there. Typically our summers are not long enough, nor our homes bright enough, for flowers to develop. There are many uses for rosemary. It is used as a gourmet seasoning for meat, poultry dishes, and potatoes. Although I prefers fresh rosemary, it can also be used dry. Like most herbs, harvest the young tender tips and foliage. Occasionally, longer, woody stems can be harvested and used as skewers for kabobs. For more information on rosemary and other herbs, visit the University of Illinois Extension Herb website at http://extension.illinois.edu/herbs.